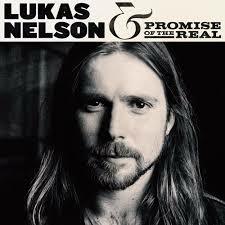 Lukas Nelson is, of course, the son of Willie Nelson and the Promise of the Real has been his band for the past 10 years at least; this is their first studio album since their epic stint as Neil Young’s backing band on his redemptive world tour of last year and the one before. I say redemptive because the youth and vigour was plainly infectious and Young mined his back catalogue with a delight and enthusiasm not seen for years. Opening with the stately ‘Set Me Down On A Cloud’ the album bursts into life with a country-rock anthem complete with ranked masses of backing singers and a crystal lead guitar break that really hits the spot. ‘Die Alone’ is sing along boogie woogie in the style of JJ Cale – gentle but insistent. Similarly ‘Fool Me Once’ could have been written and recorded somewhere south of the Mason Dixon line in 1974, with lots of Southern accents and that very familiar voice that Lukas seems to have inherited wholesale from his father. And then a break from the syle for a beautifully judged ballad ‘Just Outside of Austin’ which would fit into any soft top ten – very much ‘Gentle On My Mind’ and an indication that, just like his father, Lukas has the chops to write in the commercial milieu. The album continues in a mainly country sshit-kicking rock style and even addresses ‘Nelson’ issues such as taxes and weed, but ultimately this is an album made by an individual talent and a band of some serious musicians.